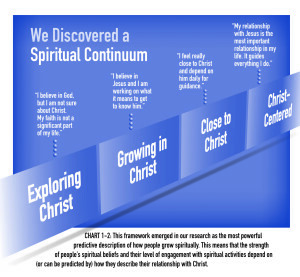 Spiritual Growth: Whose job is it to drive this in a positive direction? I was having a discussion with my awesome dad the other day about the role of the church in a person’s spiritual development. We had similar yet different ideas on the topic. I could agree with his viewpoint but it just seemed…well, unexplored. i wasn’t raised on the KJB. It’s just that the boys in our family have a thing for lions! In times like these I like to consult my two best advisors. 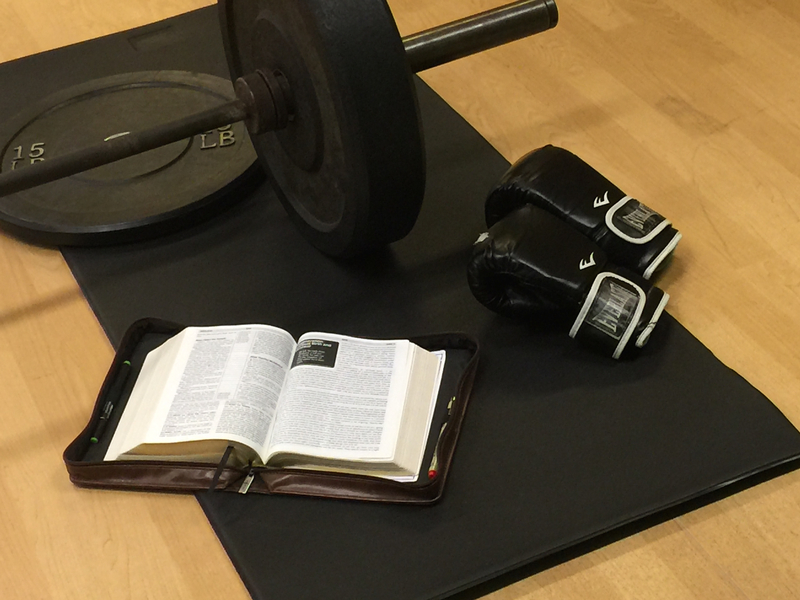 I start with the best source, the Bible, and search for relevant scriptures. Secondarily, I will ask my good friend, Mr. Google, and see what he and his network of friends seem to think. His response time is rather impressive which is a big bonus. Once I’ve had some input from the (mostly) wise counsel of many others, I allow the Holy Spirit to add some personal flavor to the thought process. I’ll quote just a few numerous scriptures–by no means an exhaustive treatment of this biblical search–which support each of these 3 perspectives and then we’ll downgrade to my meager thoughts afterward. I’ll also add some excerpts from others that I feel are healthy contributions to my discussion. As you read these scriptures, ask yourself whether you see these as an “either/or” or an “also/and” kind of approach. How is the Trinity involved? 11 And he gave the apostles, the prophets, the evangelists, the shepherds and teachers, 12 to equip the saints for the work of ministry, for building up the body of Christ, 13 until we all attain to the unity of the faith and of the knowledge of the Son of God, to mature manhood, to the measure of the stature of the fullness of Christ, 14 so that we may no longer be children, tossed to and fro by the waves and carried about by every wind of doctrine, by human cunning, by craftiness in deceitful schemes. 15 Rather, speaking the truth in love, we are to grow up in every way into him who is the head, into Christ, 16 from whom the whole body, joined and held together by every joint with which it is equipped, when each part is working properly, makes the body grow so that it builds itself up in love. Whew! It’s a good thing that the Trinity is supernaturally supernatural. That sounds like a lot of work to me-But love knows no bounds! God is love and John 17 tells us that Jesus prayed for all of us (the Church, His bride) to be united in that same kind of unity and love through a sanctifying agent of Christ’s blood and the Spirit’s empowering Presence. It would appear to me that God is committed to our glorification through the fullness of the Trinity. Every person of the tripartite God is committed to that ideal. We are spirits with a body who have unfortunately allowed our flesh to run the show. Jesus came to destroy the works of the Devil that led us down that particular road. He then restored us to our original intended purpose of glorifying our Creator and communing with Him directly in order to maximize that purpose. How is the church involved? Now in these days when the disciples were increasing in number, a complaint by the Hellenists arose against the Hebrews because their widows were being neglected in the daily distribution. 2 And the twelve summoned the full number of the disciples and said, “It is not right that we should give up preaching the word of God to serve tables. 3 Therefore, brothers, pick out from among you seven men of good repute, full of the Spirit and of wisdom, whom we will appoint to this duty. 4 But we will devote ourselves to prayer and to the ministry of the word.” 5 And what they said pleased the whole gathering, and they chose Stephen, a man full of faith and of the Holy Spirit, and Philip, and Prochorus, and Nicanor, and Timon, and Parmenas, and Nicolaus, a proselyte of Antioch. 6 These they set before the apostles, and they prayed and laid their hands on them. 7 And the word of God continued to increase, and the number of the disciples multiplied greatly in Jerusalem, and a great many of the priests became obedient to the faith. And they devoted themselves to the apostles’ teaching and the fellowship, to the breaking of bread and the prayers. 43 And awe came upon every soul, and many wonders and signs were being done through the apostles. 44 And all who believed were together and had all things in common. 45 And they were selling their possessions and belongings and distributing the proceeds to all, as any had need. 46 And day by day, attending the temple together and breaking bread in their homes, they received their food with glad and generous hearts, 47 praising God and having favor with all the people. And the Lord added to their number day by day those who were being saved. The saying is trustworthy: If anyone aspires to the office of overseer, he desires a noble task. 2 Therefore an overseer must be above reproach, the husband of one wife,2 sober-minded, self-controlled, respectable, hospitable, able to teach, 3 not a drunkard, not violent but gentle, not quarrelsome, not a lover of money. 4 He must manage his own household well, with all dignity keeping his children submissive, 5 for if someone does not know how to manage his own household, how will he care for God’s church? 6 He must not be a recent convert, or he may become puffed up with conceit and fall into the condemnation of the devil. 7 Moreover, he must be well thought of by outsiders, so that he may not fall into disgrace, into a snare of the devil. 8 Deacons likewise must be dignified, not double-tongued, not addicted to much wine, not greedy for dishonest gain. 9 They must hold the mystery of the faith with a clear conscience. 10 And let them also be tested first; then let them serve as deacons if they prove themselves blameless. 11 Their wives likewise must be dignified, not slanderers, but sober-minded,faithful in all things. 12 Let deacons each be the husband of one wife, managing their children and their own households well. 13 For those who serve well as deacons gain a good standing for themselves and also great confidence in the faith that is in Christ Jesus. Now there are varieties of gifts, but the same Spirit; 5 and there are varieties of service, but the same Lord; 6 and there are varieties of activities, but it is the same God who empowers them all in everyone. 7 To each is given the manifestation of the Spirit for the common good. 8 For to one is given through the Spirit the utterance of wisdom, and to another the utterance of knowledge according to the same Spirit, 9 to another faith by the same Spirit, to another gifts of healing by the one Spirit, 10 to another the working of miracles, to another prophecy, to another the ability to distinguish between spirits, to another various kinds of tongues, to another the interpretation of tongues. 11 All these are empowered by one and the same Spirit, who apportions to each one individually has he wills. 12 For just as the body is one and has many members, and all the members of the body, though many, are one body, so it is with Christ. 13 For kin one Spirit we were all baptized into one body—Jews or Greeks, slaves or free—and all were made to drink of one Spirit. So maybe we need to reframe what exactly we expect the church to do. If you look at most church websites you will see their particular statement of faith and beliefs. If they are marketing well, they’ll probably also mention their core values just so you can catch a transparent view of what they strive to embody in their membership. Sadly, discipleship doesn’t often make the cut. My hope is that the next generation will improve that percentage whatever it is. Let’s turn to some other church responsibilities regarding spiritual formation. 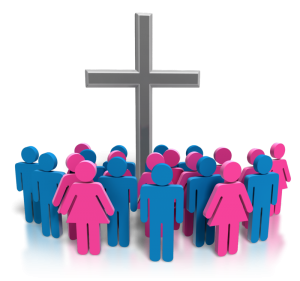 Biblically, the Church has been called to represent Christ in all that we do, care for widows and orphans, demonstrate a tangible love to everyone who happens to look, hear or otherwise come into contact with us. Within the body we are to encourage one another daily and even more as we see the day drawing near. We are called to encourage one another, pray for one another, be ongoingly filled with the Spirit, sing songs and spiritual hymns to one another. We are tasked with shining whatever light emanates from us as a result of Christ manifesting through our gifts and talents. That’s a high calling to respond to but the Holy Spirit is ours for the taking. He empowers Christ to be re-presented through our thoughts and actions. The more we engage with God, His Son and His Spirit now found inside of every believer…the more well-positioned we become to release the glory of God through our life. That is how a believer in Christ not only seeks first the Kingdom but also releases that into their particular environment. This is why discipleship is a healthy gauge of where the church’s priorities lie. Churches with no formal discipleship structure or values can obviously still do great work for the Kingdom but it will happen more slowly through addition as opposed to multiplicational (that’s probably not a word but it should be!) growth. I know I’m a little biased towards discipleship and all of it’s strengths but it really is important enough that Jesus would command His disciples to “Go and make disciples”. I truly believe one of the greatest privileges of the church is to make discipleship a priority. Without it a church is potentially missing a major engine towards expanding the kingdom. A Christian organization that draws followers to it will naturally begin reproducing it’s own passions into the lives of others. These individuals are often seeking a passion–any passion–to inspire them to serve the kingdom (through pastoring, teaching, prophesying, serving, etc.) and those who haven’t yet entered it (through evangelism, service and prophesying). So if we are not energetically equipping our church members with love-centered spiritual tools, then we run the risk of developing a lethargic, consumer-based church that gathers more than it sends out. From a leadership standpoint that’s what happens when a church leader is the head of the church rather than Jesus being placed in that position of authority. A few major megachurches have struggled recently because of moral failure at the top. If your church leadership looks like a pyramid rather than an upside down pyramid, you could be facing the same problem. Jesus laid down his life for the church and husbands are called to do the same for our wife out of utter sacrificial love for her. 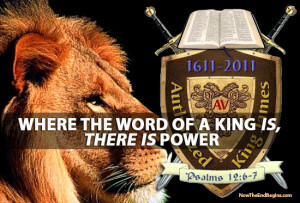 So when they had come together, they asked him, “Lord, will you at this time restore the kingdom to Israel?” He said to them, “It is not for you to know times or seasons that the Father has fixed by his own authority. But you will receive power when the Holy Spirit has come upon you, and you will be my witnesses in Jerusalem and in all Judea and Samaria, and to the end of the earth.” And when he had said these things, as they were looking on, he was lifted up, and a cloud took him out of their sight. And while they were gazing into heaven as he went, behold, two men stood by them in white robes, and said, “Men of Galilee, why do you stand looking into heaven? This Jesus, who was taken up from you into heaven, will come in the same way as you saw him go into heaven. Servant based leadership is the buzzword in corporate leadership circles. It’s unfortunate when that isn’t the case in church leadership circles. Jesus delivered his last servant leadership speech before He ascended into Heaven. That concept was not born in corporate America. It was pioneered by Jesus, the master discipler. I grew up in bible-focused, non-denominational church. I went to church 2x on sunday, in addition to a bible class after church and an additional midweek class and service. In a way that was discipleship. The more I got exposed to Christian values and teachings, the more spiritual I was supposed to become…I suppose. I think this is where the doctrinal beliefs became very substantial without necessarily instilling a deep desire to follow Jesus and obey His commands wholeheartedly. Nowadays it’s much more common for churches to meet once on sunday and some other time during the week if you’re involved with a small group. I guess that reduces the potential of becoming doctrinally biased (which can create religious barriers more than it facilitates interdenominational unity) but unfortunately it also reduces the opportunities for true discipleship. But let’s move on. 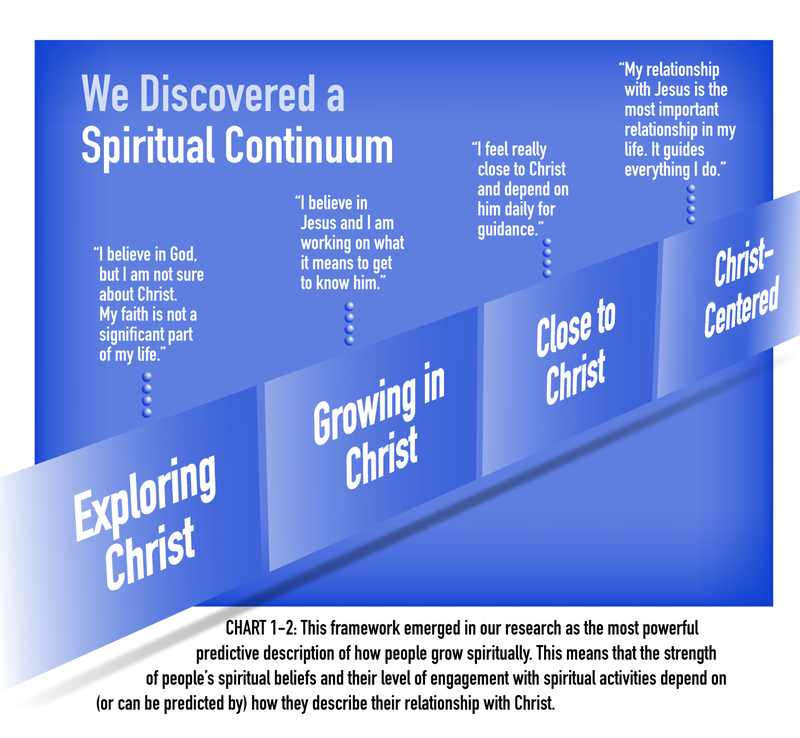 In 2007, Willowcreek church (often polled as America’s most influential church and has an average attendance of 24,000 people per weekend) researched the effectiveness of its approach to spiritual formation and found some disconcerting news. The results were discussed in the book, “Reveal”, in 2007. I remember being at a leadership conference here in Dallas that year when they were streaming live from Willowcreek and broadcasting throughout the U.S. and mentioning the landmark findings that were now available for all to read about. I immediately went and purchased the book in the lobby as well as the follow-up book in 2011, “Move”, which described how the research was evolving as numerous other churches were evaluating their approach to spiritual formation. I remember taking feverish notes as well as noting my own response to what the authors found. 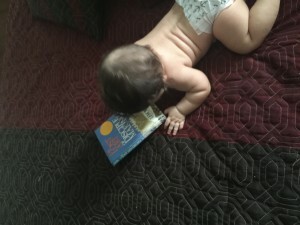 Below is another Christian blogger’s response to what they took away from these books. Those who obey my commandments are the ones who love me. And because they love me, my Father will love them, and I will love them. And I will reveal myself to each one of them. Blessed are those who hunger and thirst for righteousnes, for they shall be satisfied. People think the church is responsible for their spiritual growth. People leave churches because they’re not growing. But whose responsibility is growth? Theirs. Yours. Mine. Why is it that people who say they are most passionate about maturity blame others for their lack of maturity? I just don’t get that. Isn’t responsibility a sign of maturity? For sure, the church can help. In the same way a gym can help you get fit, a friend can help you through a tough time. But you are responsible for getting in shape, for getting better and even for your personal and spiritual growth. I appreciate Carey’s perspective and he’s correct in his assertion–but you can’t apply a one-size-fits-all label to believers. We’re all in process even when we’ve spent our entire life following Jesus. But if Carey worked in an athletic club or gym for as long as I have, he might retract that metaphor and even develop a different mindset. As Tony Morgan mentioned in his book summary points, being Christ-centered and SELF-SUFFICIENT (don’t need others to help us pray, worship or read the Word) in our pursuit of a holy lifestyle is the goal. But it most certainly is not the starting point. I couldn’t have a clearer picture of that through what I’ve observed over all my years as a strength & conditioning coach and personal trainer. On the other end of the spectrum we have athletic clubs that are designed to cater to people who want an experience when they work out, not just a sweaty couples skate with the treadmill. They want steamed towels with mint fragrance. They want a massage therapist available. They want highly trained fitness experts who didn’t just breeze through a weekend fitness course. They want someone to memorize their name at the front desk who remembers the names of their children. You get the picture. One of the places I take my personal training students to visit is Equinox Fitness Clubs. My students are always in awe of what they see because they realize they could work in a place like that if they studied hard and developed a professional and servant leadership style of work ethic. (Those were the kinds of clubs I spent the majority of my career learning and working in so I appreciate what they taught me about the service industry.) Here’s a typical example of what the newer Equinox clubs look like. This example is not just about a ritzy club membership. It’s about an organization striving to provide an incredibly valuable experience intended to assist their members in developing a fulfilling and rewarding level of physical and emotional health. Visualize this scenario. A newcomer shows up at the gym ready to embark on a new health plan. They have absolutely no idea how to do it or where to start but they know the experts there will surely provide some kind of guidance. After all, everyone at the gym is an expert…right?! They come and take a tour and find out that every member gets a free training session which sounds really good. Unfortunately, they never get around to scheduling that free session so they end up just winging it. That usually means playing around with machines and trying to figure out how they work. It means they set the exercise level on the cardio equipment way too low. They lift weights that are too light. Or maybe they put too much weight on it and do it incorrectly. How common is that you might ask? Here’s just a tiny portion of things that happen to people when they don’t have expert help or adequate personal knowledge to do things safely on their own. I wish this was just a funny joke but it’s an every day and all day occurrence in many gyms worldwide. Listen! I can’t even get my fitness students to do all that research, workout and eat disciplined and their paying our school a few thousand dollars to be there. What makes you think that the average person juggling work, a family life and little time for personal development should “be responsible for their own commitment”. This isn’t just about friends helping out a little bit. Spiritually speaking, how is that applicable here? There are passionate church staff members, elders/deacons and other passionate lay leaders who are more than willing to help foster the spiritual formation of others. Jesus called it discipleship but we won’t beat a dead horse. There are many churches out there who haven’t figured out how to make a space for these lay leaders to step up and get involved. Church staffs are already overwhelmed with maintaining their church duties, pastoral support, speaking engagements, teaching preparation, weekend church service planning, etc. How are they supposed to find the time to spend with members to facilitate spiritual growth? There’s the big question that many churches are struggling to answer. This often leaves church members (again, as stated in the MOVE book) relying too heavily on their church leadership to do all the spiritual development. In many cases, this leads to disgruntled members church hopping until they can find a church that serves up the right spiritual food. Not too hot…not too cold…perfectly warm just the way they like it. This happens for numerous reasons either because they’ve been taught not to think apart from what the church has told them or because they erroneously consider the current emotional feelings they are experiencing compared to other previous emotional experiences and judge one to be more lacking and therefore wrong. The latter definitely leads to an unsatisfactory church experience. Without realizing it, a person who experiences a lack of friendliness, legitimate connections with other members or an incessant lack of being challenged by church leadership/small group involvement can grow restless without realizing how to change things. Exposure to the “living and active Word” (the Bible) may stir one person and not another who is not interested in responding to what scripture invites them to participate in. This is why Paul exhorted us not to “give up meeting together” (Heb 10:25). However, if the place in which we are meeting together is stifling our spiritual needs, we should pray about it and seek counsel from others in order to make a decision to move on. There’s no formula here because selfish motivation can influence us to move for the wrong answers. Again, I’m not creating a black/white answer. Rather, I’m trying to illuminate a discussion that could lead to insight into our motivations for personal decision-making regarding our spiritual formation. Personality bias also plays a big role in making judgments about a particular subject. Introverted people, for example, would prefer an individual approach to spiritual maturity over a group-centered learning environment. Extraverted people would struggle with a more individualistic approach to spiritual maturity and this is something an introverted person would not deeply consider before expressing a strong opinion. This goes both ways so neither should claim exclusive bragging rights to “the truth”. My original question centered on a seemingly innocent question: Who’s responsible for spiritual growth of the Believer? Is it God? The Church? Me? I don’t agree with the notion that it’s solely on the individual to come up with their own strategy for spiritual growth. On the other hand, I think it’s wrong for a church leadership to attach a tether to each member so that they never feel equipped enough or empowered enough to initiate their own ministry efforts. As much as I love continuums, there really is no better way to assess where people are versus where they would like to end up. The most concise goal should be to lead people inward and eventually train them to go outward. More accurately stated, it starts with a better understanding of the Word, a more intimate relationship with the Trinity, an updated clarification on who I am in Christ and a subsequently growing desire to live in a way that mirrors Jesus and impacts others who observe my words and actions. Thanks for surviving the length of this article but I hope it stimulated some personal thoughts on how you view spiritual growth. Feel free to contact with me with any questions or concerns.